Welcome to the first edition of Minor-League Monday for the 2018 season. 1B Cody Decker* (Diamondbacks/AAA) began the season in Double-A but was wisely promoted. In 26 at-bats at the Triple-A level, he hit .269 with 4 home runs — tied for #2 in the Pacific Coast League — and 8 RBIs. One of the most memorable games in Decker’s illustrious minor-league career took place April 9, when he went 4-for-4 with 2 HRs, a double, a walk and 3 RBIs. P Matthew Gorst (Red Sox/High-A) pitched 5 scoreless innings across 2 games, yielding 3 hits and one walk while striking out 3. Gorst saw significant action with Boston during MLB Spring Training this season, going 0-0 with a 3.00 ERA in 7 relief appearances. C Michael Barash (Angels/AA) started the 2018 season with a bang, hitting the first pitch he saw on Opening Day for a home run. OF Zach Borenstein* (Mets/AAA) hit .308 (12-for-39) during the April 5-15 period, and his 10 RBIs tied for 12th most in the Pacific Coast League. In one three-game stretch, he homered in every game and drove in a total of 8 runs. C Mitchell Kranson (Twins/High-A) hit .296 (8-for-27) with 3 doubles, 6 RBIs and only one strikeout. C Scott Manea (Mets/A), an undrafted free agent signed in 2016, hit .438 (7-for-16) with 3 doubles and 2 RBIs. C Garrett Stubbs (Astros/AAA) hit .321 (9-for-28) with 2 triples, a double and 3 RBIs. RF Rhett Wiseman (Nationals/High-A) hit .293 (12-for-41) with 2 HRs, 3 doubles and a triple. P Zack Weiss (Reds/AAA) had a rough go of it in his Major League debut on April 9, not too surprising given that he spent all of 2017 at the High-A or Double-A levels. But Weiss quickly got his sea legs after being sent down to Triple-A, pitching a perfect inning of relief on April 15 to earn a save. P Jeremy Bleich* (Athletics/AAA) pitched 3.1 scoreless innings across 3 games, yielding 2 hits and no walks while striking out 2. P Sam Delaplane (Mariners/A), a 2017 draftee, pitched 4 innings of one-run ball across 2 games, yielding 4 hits and a walk while striking out an impressive 8 batters. In his rookie season, Delaplane struck out 50 batters in 33 innings while walking only 9. P Max Fried (Braves/AAA), who pitched in nine MLB games in 2017, started two games during the April 5-15 period, one each in Double-A and Triple-A. In 10.1 combined innings over those two games, Fried yielded 8 hits, one earned run and 5 walks while striking out 12. P Alex Katz* (Orioles/A) earned a 1.80 ERA and a save over 3 relief appearances. He yielded 4 hits and 2 walks over 5 innings while striking out 7. P Robert Stock (Padres/AA), who came close to landing a spot on San Diego’s Opening Day roster, earned a 3.00 ERA over 3 appearances, yielding 3 hits, 2 walks and an earned run in 3 innings while striking out 6. P Max Fried (Braves/AAA) was promoted from Double-A to Triple-A on April 12. 1B Cody Decker* (Diamondbacks/AAA) was promoted from Double-A to Triple-A on April 8. 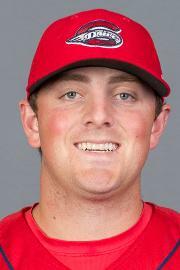 P Zack Weiss (Reds/AAA) was sent from the Major League roster to Triple-A on April 14. Former minor- and major-leaguers believed to be seeking employment include Scott Feldman, Corey Baker*, Elliott Barzilli, Dalton Blumenfeld, Mike Meyers*, Troy Neiman*, Adam Sonabend, Joey Wagman* and Jeremy Wolf. Ike Davis*, a former major leaguer who tried to reinvent himself as a pitcher in 2017, is rumored to have retired, but this is unconfirmed. C Mitchell Kranson (Twins/High-A), since April 15. P Rob Kaminsky (Indians/AA), since April 5. Members of Team Israel’s 2017 squad are marked with an asterisk.